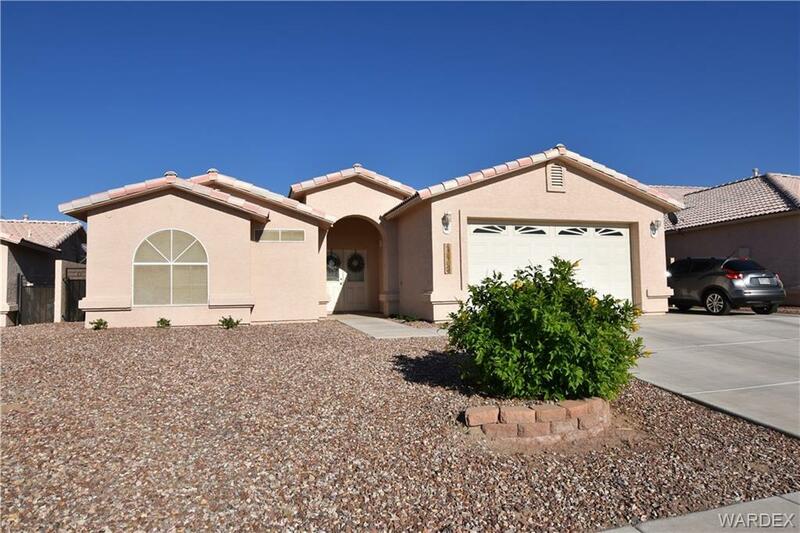 3bed 2ba The kitchen has stainless steel appliances, breakfast bar on the island, solid surface countertops and is open to a spacious dining area and living room, Large master suite with walk-in closet and dual sinks. Enjoy the great outdoors on your covered patio & practice on the putting green. Within close proximity to 3 golf courses. Plus you'll have RV Parking w/hookups (50Amp)! Community clubhouse, pool & tennis court. Close to dining and shopping.